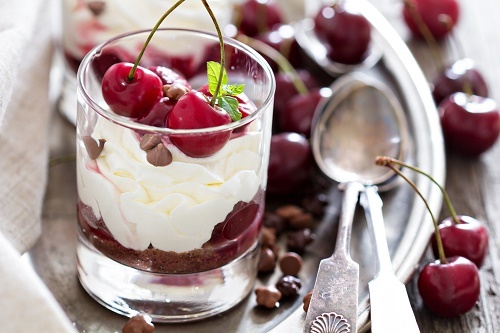 A cheesecake parfait is a fantastic idea if you want to create a dessert that’s both scrumptious and beautiful. Just pile fruits like strawberries, blueberries and blackberries between layers of decadent cheesecake filling. Parfaits are a cool way to cap off your next cookout!